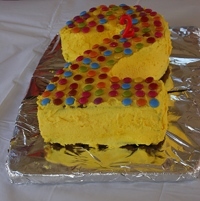 It’s PlatformAdmin.com’s 2nd birthday this week! The past 2 years have gone very quickly I must say. I set out with a goal of writing a least 1 post every month. Not very ambitious I know, but realistic for me nonetheless! I’ve never been much of a writer. I’ve always been impressed by people who appear to write so well, and even more so by those that have the stamina and skill to author and publish a book. Maths, Science & Computers have always been my thing ever since way back in school and I have generally avoided writing unless I had to. I do remember reading a blog post by Joel Spolsky a while back where he said that “Writing is a muscle. The more you write, the more you’ll be able to write.” It sounded pretty reasonable to me. As a training course instructor I’ve always found that one of the great benefits of teaching was that I necessarily had to learn much more of the details for whatever I was teaching. I’ve found that the same appears to be true about writing publicly accessible blog posts. The fear of being asked tough questions or being challenged on topics turns into the pleasure of learning more! … then, thanks to mentions from Waynette Tubs in the June edition of the SAS® Technical Report, and Andrew Ratcliffe in his excellent NOTE: blog, it saw a fair bit of extra traffic this month. The unique monthly visitor count for platformadmin.com topped 1000 visitors for the first time! I got especially geeky excited when I saw it hit 1024. Thanks to all the readers out there, and special thanks to those that comment, tweet, retweet and say nice things about platformadmin.com on other sites/blogs too. Happy SAS platform admin-ing to all. This platformadmin.com blog is now available via the new aggregator SAS-X.com, along with many other great SAS related blogs. It’s well worth checking out. If you’re wondering how it’s different from sascommunity.org planet there’s a Q&A item about it at the bottom of the SAS-X.com about page. Thanks to Andy Ratcliffe for adding platformadmin.com to his blog roll on NOTE:. This was a timely reminder for me to add a blog roll to this platformadmin.com blog, something I had been meaning to do for some time now, and so I was prompted to make a start on it. You can find the initial blog roll in the column on the right hand side of this page. NOTE: The blog of RTSL.eu: Andy Ratcliffe’s blog has a number of articles on architecture, admin, backup, DI, BI, OLAP etc. real business intelligence for real users: Angela Hall’s blog is a veritable encyclopaedia of SAS BI related information useful for SAS platform administrators – not to be missed! The SAS Dummy: Chris Hemedinger’s blog has many articles of interest to admins managing SAS Enterprise Guide and SAS Add-In for Microsoft Office installations. BTW if you are daunted by the amount of SAS related information out there I would highly recommend Google Reader. I switched a few months ago and since then have been able to skim read a lot more resources, in a lot less time, from any device at hand (iPad, Android phone, MacBook, Linux notebook etc.) and being a web app all the devices are always in sync with each other. I’d be lost without it now. This is my brand new blog and I thought I’d better start by explaining who I am, why I created it, and what I am going to be using it for. My name is Paul Homes and I have been working with SAS® software for over 20 years. In that time I have worked for a variety of companies in a variety of roles. These days I spend my time doing short term SAS consulting projects, teaching the occasional course and creating plug-ins that integrate with SAS software. I should have been blogging ages ago, but always wondered what I would blog about. Most of the work I do these days is related to SAS platform administration and working with SAS metadata, so I thought that would be a good place to start. I created platformadmin.com as a place where I could jot down my thoughts, notes, handy techniques, code fragments and other general stuff related to managing SAS software installations and SAS metadata. There is a wealth of useful 3rd party materials online too, including SAS documents, SAS usage notes and other people’s blogs. I often find myself revisiting the same places time and time again but, having forgotten to bookmark them in the first place, I end up searching for them anew each time, so now I will link to them from this blog. Although I created this blog primarily for my own purposes, to jog my memory and help me find stuff again, I hope that other people working with SAS metadata or as SAS platform administrators will also find it useful. If you have any comments, questions or suggestions, please let me know by either commenting on the articles or sending me an email or tweet. I work for Metacoda where I develop plug-ins to integrate with SAS software for the purpose of enhancing metadata access. I also use Metacoda software in SAS platform admin consulting work, so I plan to blog about how I find Metacoda software helps me in that role. Author Paul HomesPosted on 15 April 2010 7 December 2010 Categories GeneralTags platformadmin.com, SASLeave a comment on What is platformadmin.com?